It's not just about young people at the Into Film Awards. We like to recognise the hard work of all teachers and educators who inspire children and young people with film, either through the Into Film programme or in their own way. Last year's Educator of the Year Award winner, Suzanne Cohen, was nominated by a colleague and has continued to inspire more and more young people since gaining recognition for her existing achievements. 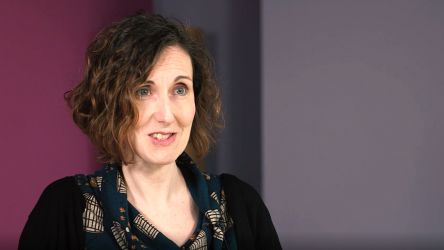 We caught up with Suzanne on why other teachers and educators should nominate themselves, and to find out how winning an Into Film Award has encouraged her to aim even higher. Suzanne has been working at Camden Summer University for the past 20 years, running free filmmaking courses for groups of diverse young people and enabling them to learn new skills and gain confidence in an area often inaccessible to them. With some of her recent courses predominantly aimed at young people on the autistic spectrum and another focused on exploring young people and their experiences of mental health, there's no doubt that Suzanne is an inspiration to her colleagues and pupils alike. 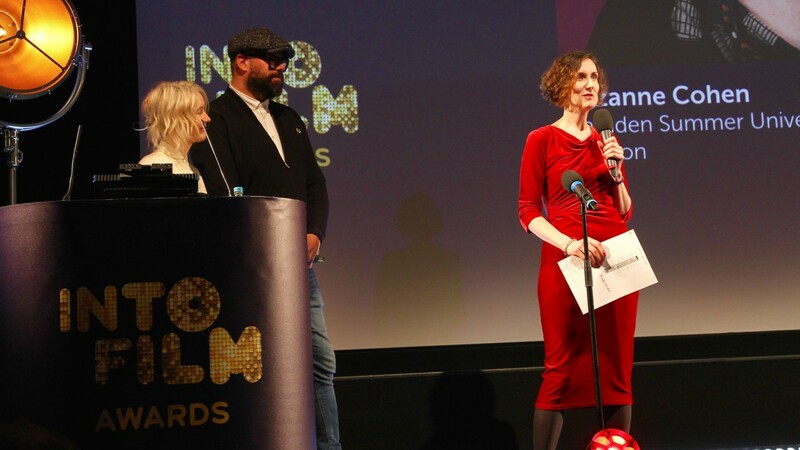 Congratulations to Suzanne Cohen, who has been crowned Educator of the Year at the Into Film Awards 2018. "Everyone needs to express themselves. Young people are a marginalised group and the arts are a way for them to get their voices heard and develop communication skills. There is also the element of enjoyment with creative projects; even if it's a difficult topic being explored, because you are making a film about it and it can still be fun". "The summer programmes are great because you have a group of young people for a week so the film projects have real focus, momentum and energy. It's something the pupils are choosing to do in their summer holidays, so they come with passion and interest". 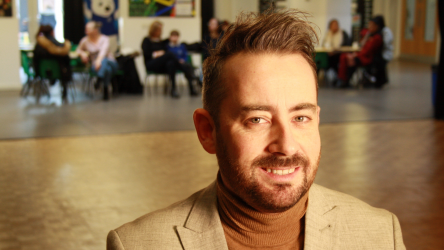 "Since winning Educator of the Year at The Into Film Awards in March, it has given me the confidence to be even more ambitious with my projects. When contacting high profile subjects to be in one of our documentaries exploring women in positions of power, mentioning the award definitely helped give me credibility. There were a lot of responses and we ended up with a strong line up including Reverend Rose Hudson-Wilkin (Chaplain to the Speaker of the House of Commons and the Queen), Georgia Gould (Labour Leader of Camden Council), Tarika Marshall (Tech Entrepreneur) and Josie Verghese, (Senior Broadcast Journalist and Producer of BBC School Report). Into Film also arranged for me to have an interview with The Guardian, which was another great opportunity for me. I am very pleased to be able to share my experience with other film educators and given the opportunity to promote free educational projects; it's so important if we want to archive diversity in the film industry". 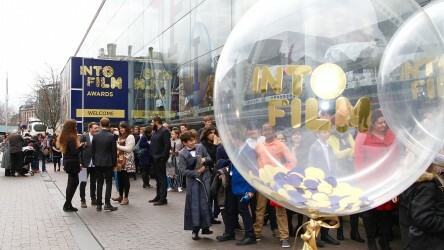 "Reflecting on my experience at The Into Film Awards, it was very exciting to be shortlisted. It's the Oscars of film education teaching. Into Film do an amazing job of putting on a glamorous and glitzy event with red carpet and film stars galore. I invited friends and work colleagues who were all rooting for me. I couldn't believe it when my name was called and I felt very emotional accepting the award and making a speech, as this is the culmination of my life's work. Since winning I feel like I can take on more challenges and push myself to do things bigger and better. I would strongly encourage other teachers and educators who work with film and young people to enter It's a great way for them to get more exposure and support for their project, and also an opportunity for us to get to know about each other". If you or someone you know engages their students with film and/or the Into Film programme in unique and exciting ways, make sure to enter the Into Film Awards by 14 December. Make sure to check out more of Suzanne's amazing work on her website. 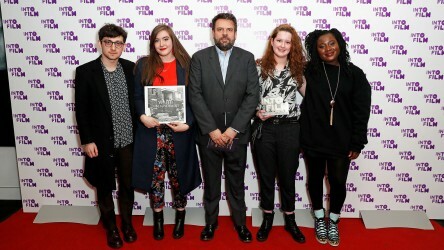 We're highlighting the fascinating journey of young filmmaker Amy, whose film 'Still Life' won Best Documentary at the 2018 Into Film Awards.